MURPHY, Donna M. (Borek) Donna M. (Borek) Murphy, 57, of Coconut Ave., Anna Maria, FL, died Tuesday, (August 9, 2005) at the CT Hospice, Branford. Wife of Daniel L. Murphy. 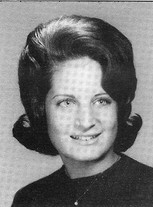 Born in Meriden on October 3, 1947, daughter of Eleanor Mancino Borek of Meriden and the late George Borek, Sr. She obtained her Associate Degree from Middlesex College, her Bachelors Degree from Post University of Waterbury and her Masters Degree from Hartford Graduate Center. An Echo Cardiographer, she had worked for the Hartford Cardiac Care, the New Haven Cardiology Group and had taught Radiology and Ultra Sound at Yale-New Haven Hospital. She was a member of the Washington Park and St. Paul's Fife and Drum Corps and was an avid boater. Mother of Colleen (Stephen) Tondalo of North Haven, Bonnie (Paul) Narducci of Wallingford, Shannon Murphy and her boyfriend, Guy Coleman of Bradenton, FL. Grandmother of Jonathan Narducci, Caprice Tondalo and Raymond Pajkiewicz. Sister of James Borek of Amesbury, MA, Lori Paul of Wallingford and the late George Borek, Jr. I have so many fond memories of Donna. We walked to school together every day. We had so many great conversations during those walks. I remember she had the most beautiful blue eyes. Donna was a terrific person. It's so sad she's no longer with us.